I am very fortunate to still own my very first pony who is now 18-years-old. We have done everything together and he is a massive part of my life. During the winter he has lost some weight can you help. It’s completely understandable that you want to provide your first pony with the best nutritional care now that he is a veteran. Weight loss is a common problem for older horses. However, if your pony is dropping weight on a diet that once kept him in ideal condition it’s important to firstly rule out any underlying clinical condition. 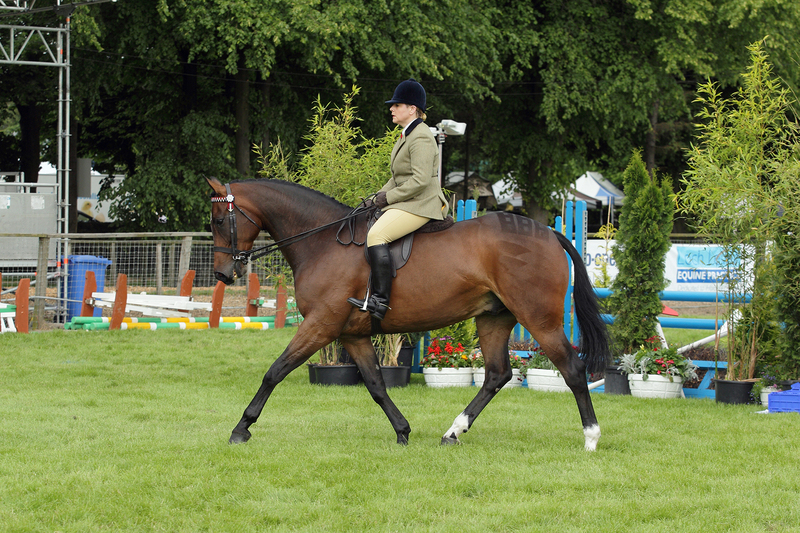 We recommend that your vet carries out a full equine MOT to rule out any problems such as Cushing’s or liver disease. One of the most common reasons for weight loss in older horses is age-related deterioration in their dental health, which can make chewing forage difficult or even impossible. Your vet will be able to diagnose any dental problem. However, useful checks that you can carry out yourself are to monitor for any signs of quidding or evidence of larger quantities of longer stems of fibre in your pony’s droppings. If poor dental condition is the root of your pony’s weight loss then this can easily be addressed by feeding Equerry High Fibre Nuts as a soaked gruel, instead of his normal forage. Provided your pony is not suffering from any underlying clinical problem Equerry Veteran Mix is the ideal bucket feed. It is specifically formulated for older horses and is flavoured with spearmint to tempt even the fussiest feeder. Equerry Veteran Mix will provide your pony with higher levels of calories and quality protein to help him maintain condition and muscle tone. However, do remember that if your pony is retired he will not have the same well-developed muscles as a horse in work. Research has suggested that as horses’ age they may become less efficient at extracting nutrients from their feed. 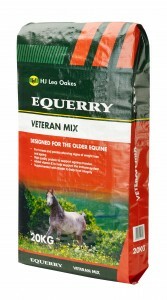 To help maintain digestive efficiency and support a healthy hind-gut Equerry Veteran Mix contains added yeast. Evidence also suggests that the older horse’s immune system may be compromised and this can increase the risk of illness. Choosing a feed that contains raised levels of antioxidants, such as Equerry Veteran Mix, is thought to benefit the older horse by helping to maintain correct immune function. 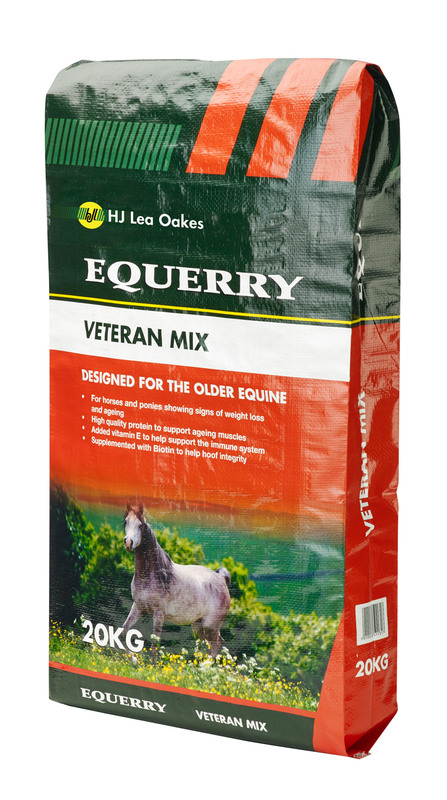 Equerry Veteran Mix is fully-balanced and when fed at the recommended rate will provide your pony with the correct levels of vitamins, minerals and trace-elements. 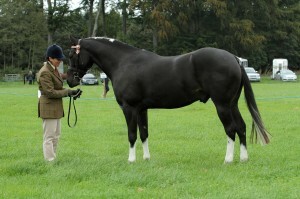 As a guide a pony weighing 250kg would need 1-1.5kg Equerry Veteran Mix daily. This should be divided into at least 2 small meals, fed at least 4 hours apart. It is always great to hear from happy customers where our feeds have truly made a difference to their horse or pony’s health and wellbeing. Jennifer Garland contacted the Equerry team to tell them about her lovely horse Jemoon Tambourine Man, also known as Norman. Said Jennifer: “As you hopefully agree Norman is very handsome, obviously I am biased! He gets fed Equerry High Fibre Cubes in the winter and Equerry Conditioning Cubes in the show season and as you can see he looks great! “He has done really well in showing and has won five Supreme Championships and two Reserve Supreme Championships out of seven. “He is also really good at dressage getting over 70% every time out and we have done a little jumping with him too. I am very lucky to own a horse like Norman. Lesley McNaughton-Wells wrote in with another lovely endorsement for Equerry Condition Cooler Mash – sending us a fantastic photograph of her lovely four-year-old KD Wild Billy at Brechin Castle Autumn Show. Another fantastic endorsement was received from Lynell Sheridan from South Lanarkshire who is a Arab Horse Society panel judge. Lynell’s horse Remember Rio, is fed on Equerry Condition Cooler Mash and she is delighted with the results. Equerry Horse Feeds are delighted to announce sponsorship of event rider Bonnie Fishburn – the first official rider to receive support from the company. 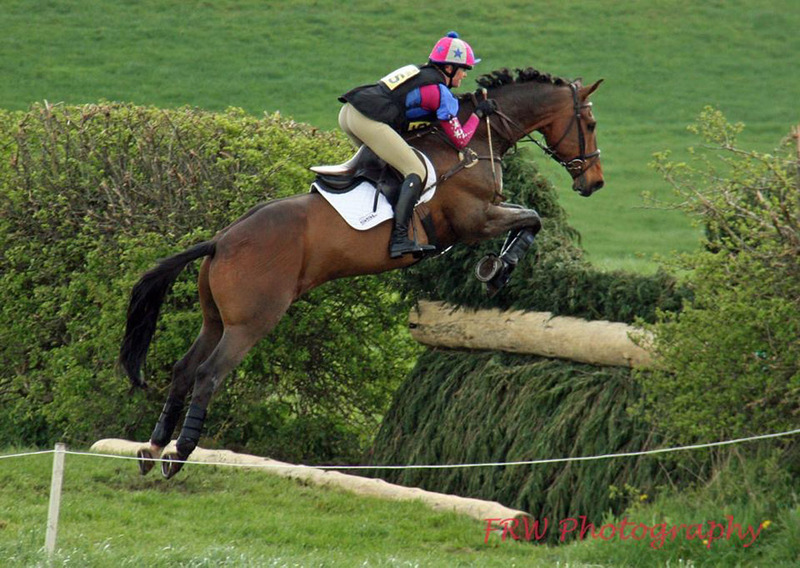 Bonnie is a keen amateur rider who works hard to keep a small string of horses and competes most weekends in either British Eventing or British Riding Club competitions, with great success. Currently, Bonnie has a string of three horses, that she owns herself, competing at BE100 and Intermediate/CCI* level. 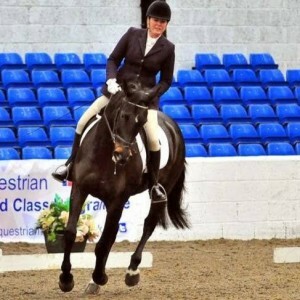 One of her greatest achievements to date is being part of three teams winning British Riding Clubs National Championship Team titles in three consecutive years, in three different disciplines. In 2012 she was part of the Open Horse Trials team, in 2013 she competed in the Open Show Jumping team, and in 2014 Bonnie was in the Open Dressage team. Said Bonnie: “I feel privileged to have the support of a company that has been around since 1675. All my horses will be fuelled by their fantastic range of products. Equerry Horse Feeds will also be attending Bolesworth International in June, where Bonnie will be on the stand to give first hand advice on the products she uses.